Fitness can be measured by the volume of oxygen you can consume while exercising at your maximum capacity. VO2max is the maximum amount of oxygen in millilitres, one can use in one minute per kilogram of body weight. Numerous studies show that you can increase your VO2max by working out at an intensity that raises your heart rate to between 65 and 85% of its maximum for at least 20 minutes three to five times a week. Aerobic fitness is primary for most sports. It is important to think carefully about the fitness level of the individual and choose the test that is most appropriate for their sport or activity. The objective of these tests is to measure and monitor the development of a individual’s general endurance (VO2max). To assess aerobic endurance and lower body muscle endurance. • Place a mark on the wall with masking tape at the height from the ground to the participant’s mid-thigh position. • On the instruction to start, step up and down on the spot. • Lift your knees to the indicated mark on the wall. • Continue to step as fast as you can for 2 minutes. • If you tire, slow down or stop and rest. The 6MWT should be performed indoors, along a long, flat, straight, enclosed corridor with a hard surface that is seldom travelled. If weather permits, the test may be completed outdoors. The walking track must be 30 metres in length and marked every 3 metres, with the turn-around points marked with a cone. Mark the start and finish lines with brightly coloured tape. Repeat testing should be completed at the same time of day to minimise intra-day variability. A ‘warm-up’ period before the test should not be performed. The client should sit and rest in a chair for at least 10 minutes before the test. During this time, check for contraindications, measure pulse and blood pressure and ensure clothing and footwear are appropriate. Pulse oximetry is optional. If performed, measure and record baseline heart rate and oxygen saturation. Make sure the readings are stable before recording. Note pulse regularity. Note: If pulse oximeter is to be worn throughout the test, clinician is not to walk with the client. The pulse oximeter must be lightweight (less than 1 kg or 2 pounds), battery operated, and held in place so that the client does not have to hold or stabilise the pulse oximeter and therefore stride is not affected. 5. Have the client stand and rate their baseline dyspnoea and overall fatigue using the Borg Scale. 6. Set the timer to 6 minutes, assemble all necessary equipment and move to the starting point. The object of this test is to walk as far as possible for 6 minutes. You will walk back and forth in this hallway. Six minutes is a long time to walk, so you will be exerting yourself. You will probably get out of breath or become exhausted. You are permitted to slow down, to stop and to rest as necessary. You may lean against the wall while resting but resume walking as soon as you are able. You will be walking back and forth around the cones. You should pivot briskly around the cones and continue back the other way without hesitation. Now I’m going to show you. Please watch the way I turn without hesitation. Demonstrate by walking one lap yourself. Walk and pivot around the cones briskly without hesitation. Are you ready to do that? I am going to use this counter to keep track of the number of laps you complete. I will click it each time you turn around at this starting line. Remember that the object is to walk AS FAR AS POSSIBLE for 6 minutes, but don’t run or jog. “Start now, or whenever you are ready”. 8. Do not talk to anyone during the test. You are doing well. You have 5 minutes to go. Keep up the good work. You have 4 minutes to go. You are doing well. You are halfway done. Keep up the good work. You have only 2 minutes lefting. You are doing well. You have only 1 minute to go. Note: Do not use other words of encouragement (or body language) to encourage the client to walk faster. If the client stops walking or needs a rest during the test, say: You can lean against the wall if you would like; then continue walking whenever you feel able. Do not stop the timer. If the client stops before the 6 minutes are up and refuses to continue (or the clinician decides that they should not continue), allow the client to sit down and note the distance, the time stopped and the reason for stopping prematurely. When the timer is 15 seconds from completion, say: In a moment I’m going to tell you to stop. When I do, just stop right where you are and I will come to you. At the completion, say Stop! 10. Post-test: Record the post-walk Borg and fatigue levels and ask: What, if anything, kept you from walking further? 11. If using a pulse oximeter, measure oxygen saturation (SpO2) and pulse rate on the oximeter and then remove the sensor. 12. Record the number of laps and any additional distance covered by using the markers on the wall. Calculate the total distance walked, rounding to the nearest metre. Note: A practice test is not required in most clinical settings; however, it should be considered. If a practice test is completed, wait for at least 1 hour before the second test and report the highest 6MWD as the client’s baseline (ATS, 2002). Note: Record the flow rate and the source of oxygen used by client. Note how the oxygen source was carried by the client (e.g. carried oxygen bottle, pushed or pulled cylinder) (ATS, 2002). Note: The type of medication, dose and number of hours taken before test should be recorded. Note: The client would not be expected to keep up the same walking pace throughout the walking training session that they achieved in the 6MWT. Therefore, prescribe approximately80% of the calculated distance. • The median 6MWD was approximately 580 metres for 117 healthy men and 500 metres for 173 healthy women (Miyamoto et al., 2000). • A mean 6MWD of 630 metres was reported by another study of 51 healthy adults (Stevens et al., 1999). The Cooper 12 minute run is a popular maximal running test of aerobic fitness, in which participants try and cover as much distance as they can in 12 minutes. Equipment required: flat oval or running track, marker cones, recording sheets, stop watch. Procedure: Place markers at set intervals around the track to aid in measuring the completed distance. Participants run for 12 minutes, and the total distance covered is recorded. Walking is allowed, though the participants must be encouraged to push themselves as hard as they can to maximize the distance covered. Target population: This test can be modified to be suitable for most populations. For those who are unfit or unable to run, there are similar walking tests that can be performed. Validity: Cooper (1968) reported a correlation of 0.90 between VO2max and the distance covered in a 12 min walk/run. Reliability: the reliability of this test would depend on practice, pacing strategies and motivation level. There should be good reliability if these issues are addressed. Advantages: large groups can be tested at once, and it is a very cheap and simple test to perform. Disadvantages: practice and pacing is required, and performance on this test can be affected greatly by motivation. Comments: the world record for 5000m is held by Kenenisa Bekele in 12:37.35. Based on that time, he would complete 4752m or 11.88 laps in 12 min. 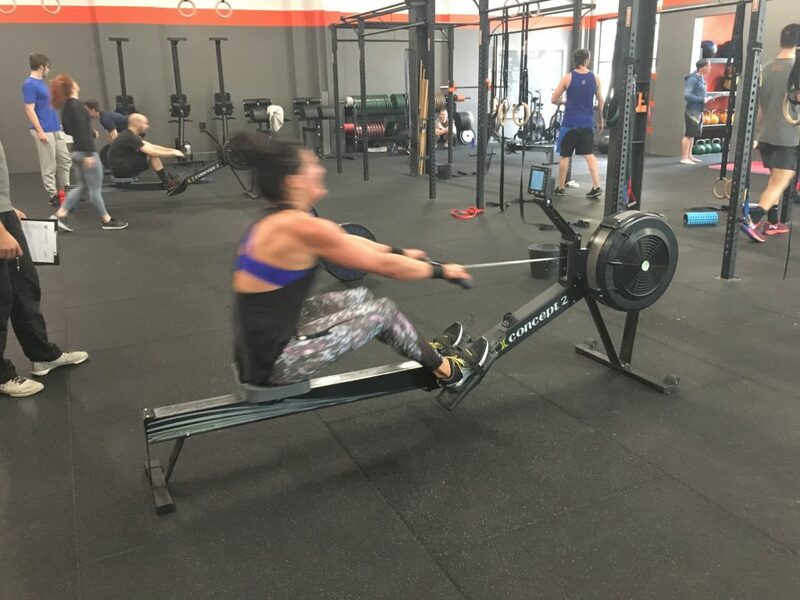 Variations / Modifications: The test can also be conducted by running on a treadmill for 12 minutes, set to level 1 (1 percent) incline to mimic outdoor running. There are also many variations of the walk / run test. A very similar test is the Balke 15 minute run. Testing is generally easier to administer when the distance is fixed and the finishing time measured, so the alternative Cooper 1.5 mile (2.4km) run test was developed. The test involves running continuously between two points that are 20 m apart from side to side. The runs are synchronized with a pre-recorded tape (see link), which plays beeps at set intervals. The recording is typically structured into 21 ‘levels’, each lasting around 62 s.
The interval of beeps is calculated as requiring a speed at the start of 8.5 km/h increasing by 0.5 km/h with each level thereafter. The progression from one level to the next is signaled by 3 quick beeps. The highest level attained before failing to keep up is recorded as the score for that test. Record the baseline heart rate and blood pressure, as well as basic information including age, height, and weight. Calculate the predicted maximum heart rate and then 75% of the maximum heart rate. Allow the client to familiarise themselves with walking on a treadmill before conducting the test. Note: See ‘Heart Rate’ test for calculations to predict maximum heart rate. Set the initial treadmill speed at 3.3 mph (5.31 kph) and the gradient at 0%, and then instruct the client to start walking. Increase the gradient to 2% at the end of the first minute, and then increase by 1% at the end of every minute thereafter. At the end of every minute, record the heart rate and the RPE. If possible, measure blood pressure at the end of every 2 minutes. Continue to monitor the client’s appearance and expressions for the duration of the test (Maud & Foster, 2006). If the client reaches an incline of 25%, then gradually increase the speed by 0.2 mph (0.32 kph) per minute. The test is terminated when the client reaches 75% of their maximum heart rate, when the client asks to stop, or when any of the indicators below are present. • Client’s BP drops below 20 mmHg from the BP value recorded at rest or shows no increase in systolic BP with increased exercise intensity. • Client has an excessive rise in systolic BP over 260 mm Hg and/or a diastolic BP over 115mm Hg. • Client is not sweating; feels light-headed, confused, or unsteady; looks pale, or has blue lips. • Client’s heart rate does not rise with increased exercise intensity. • Client has a noticeable change in heart rhythm. • Client requests to stop. • Client shows physical or verbal signs of severe fatigue. • Failure of the testing equipment. Note: If the test is terminated due to any of the above the reasons, immediately remove the client from the treadmill. Upon completion of the test, heart rate and RPE need to be recorded immediately and the grade of the treadmill returned to 0%. The client is then instructed to walk for a further 4 minutes, and heart rate and RPE are recorded at the end of each minute of recovery. Note: Speed is expressed in metres per minute, and the grade is expressed as a decimal fraction, for example, 10% grade is 0.1 (Jones & Rose, 2005). VO2 max (mL.kg–1.min–1) = 11.12 + (1.15 x time) (Neiman, 2007). American Thoracic Society (ATS). (2002). ATS statement. Guidelines for the Six-Minute WalkTest. Respiratory and Critical Care Medicine, 166(1), 111-117. Marlow, N., Hastings, K., & Hansson, J. (2014). Exercise & Sports Science Australia’s Outcome Measures for Exercise physiologists: Ensuring Evidence Based Practice. Exercise & Sports Science Australia. Miller, T. (2012). National Strength and Conditioning Association. Tests and Assessment. Human Kinetics. Champagne, IL.